Many retailers and restaurants offer discounts for seniors. Sometimes senior discounts include free items, such as a complimentary beverage. Big Boy, Friendly’s, and Whataburger are some of the places that offer free coffee for seniors, though availability may vary by location. 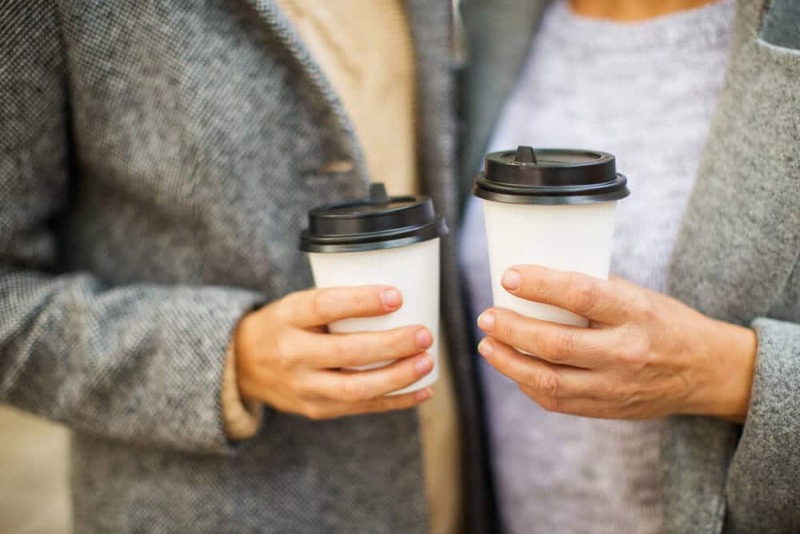 We have the list of restaurants that offer free coffee to seniors, as well as the list of places that offer discounted coffee or rewards programs. There are a few places that offer free coffee for seniors. We have the list of places, plus information on age and other requirements at each location. We contacted corporate customer service representatives and store associates at each chain to confirm their policies on free coffee for seniors. Offer and availability: Free coffee with unlimited refills for seniors is available at most Big Boy restaurant locations; many locations also offer a punch card for seniors to earn extra discounts. Other requirements: To get a free senior coffee, you will need to purchase a meal from the Especially for Seniors menu. 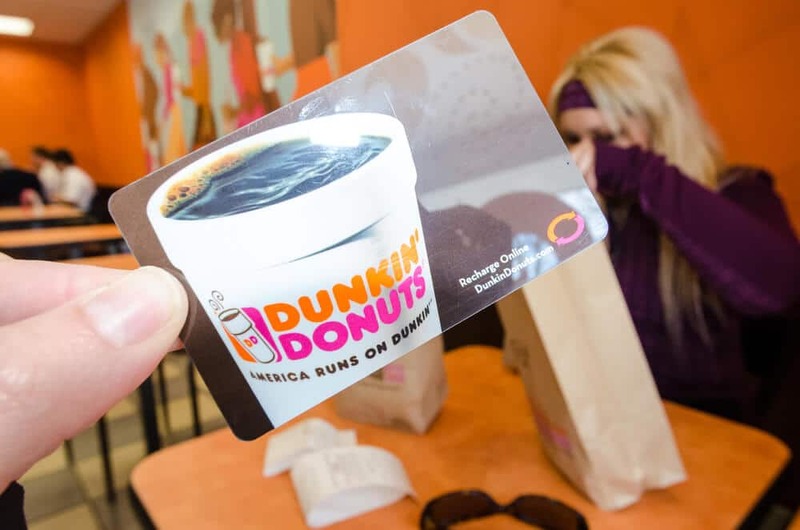 Offer and availability: Some Dunkin’ locations offer free or discounted beverages for seniors; Dunkin’ is franchised, so discounts are offered at the discretion of the owner. Offer and availability: Free coffee for seniors is available at some Friendly’s locations during breakfast hours (some Friendly’s locations offer free ice cream for seniors in the afternoon); some locations offer a 10 percent discount instead. Friendly’s is franchised, so discounts are offered at the discretion of the owner. Others requirements: A meal purchase may be required, depending on the individual location’s policy. Offer and availability: Free or discounted beverages for seniors at some Wendy’s locations; Wendy’s restaurants are franchised, so discounts are offered at the discretion of the owner. For example, a Wendy’s in Poulsbo, Wash., and another in Topeka, Kansas, confirmed that they offer free drinks (including coffee) to seniors 55 and older. Offer and availability: Free coffee and other beverages for seniors all day. Age requirement: No set age requirement; the Whataburger locations we contacted said they don’t request proof of age. Other requirements: To get a free senior coffee, you’ll need to purchase at least one other item from the menu. While the following restaurants, cafes, and convenience stores do not have free coffee for seniors, they do offer special discounts and rewards programs to help you get a cup of coffee for less. We contacted corporate customer service representatives and store associates to learn about the following store policies. Rewards program: The 7Rewards program gives you a free cup of coffee for every six you buy (making each seventh cup free). You’ll also earn points on each purchase that can be redeemed for more free drinks and snacks. BIGGBY COFFEE locations can be found in Florida, Illinois, Indiana, Michigan, Ohio, Kentucky, New Jersey, South Carolina, Texas, and Wisconsin. Rewards program: You can earn free drinks with a BIGGBY Card. You’ll earn one point for each drink purchase. After buying 12 drinks, your 13th drink is free. If you buy coffee grounds or beans from BIGGBY, you’ll earn one point for each pound of coffee and get your 10th pound free. Senior discount: Seniors can get a small cup of coffee for $0.50 at many Burger King locations; Burger King restaurants are franchised, so discounts are offered at the discretion of the owner. Rewards program: Burger King’s app for iOS and Google Play offers savings opportunities like a free beverage or meal discount. Caribou Coffee locations can be found in Colorado, Georgia, Illinois, Indiana, Iowa, Kansas, Michigan, Minnesota, Missouri, Nebraska, North Carolina, North Dakota, Ohio, Oklahoma, South Dakota, Virginia, Wisconsin, and Wyoming. Senior discount: Varies by location; Caribou Coffee is are franchised, so discounts are offered at the discretion of the owner. Rewards program: You’ll get a free beverage on your first visit after signing up for the Caribou Perks program. With Caribou Perks you’ll earn two points for every $1 spent at Caribou (excluding gift cards). Once you reach 120 points, you’ll get a free beverage credit. Rewards program: Sign up for Carl’s Jr. emails to receive coupons and special offers. Rewards program: With Chick-fil-A One rewards, you can earn points on every purchase and use your points for free menu items, including coffee. The Coffee Bean & Tea Leaf has locations in Arizona, California, Colorado, Hawaii, Oklahoma, Nevada, and Texas. Rewards program: The Coffee Bean Rewards app for iOS and Google Play offers coupons and savings opportunities, including for free beverages. Senior discount: A 10 percent senior discount is available at some locations; The Coffee Beanery is franchised, so discounts are offered at the discretion of the owner. Senior discount: If you are an AARP member, you can save 15 percent on your order (including coffee). Rewards program: Denny’s Rewards sends coupons and savings opportunities straight to your inbox. Dunn Brothers Coffee is located in Iowa, Minnesota, Missouri, North Dakota, South Dakota, Tennessee, Texas, and Wisconsin. Rewards: With Dunn Brothers Coffee’s app for iOS and Google Play you’ll earn a $3 reward for every $50 you spend. You’ll also get a $5 coupon to use toward any coffee drink on your birthday. Senior discount: Some Einstein Bros. Bagels locations offer a senior discount; Einstein Bros. Bagels is franchised, so discounts are offered at the discretion of the owner. Rewards program: If you sign up for Shmear Society Rewards, you’ll earn points that can be used for free beverages, plus you’ll be notified about savings opportunities. Occasionally, Einstein Bros. Bagels has in-store promotions for a free coffee with any purchase. Senior discount: Some Hardee’s locations offer a senior discount to those 55 and older; Hardee’s is franchised, so discounts are offered at the discretion of the owner. Rewards program: You can sign up for Hardee’s emails to receive coupons. Rewards: None offered, but you can join IHOP’s e-club to receive coupons by email. Senior discount: Some locations offer seniors $0.50 off drink purchases, including coffee; Jack In The Box is franchised, so discounts are offered at the discretion of the owner. Senior discount: Some McDonald’s locations offer free or discounted coffee for seniors; McDonald’s is franchised, so discounts are offered at the discretion of the owner. Rewards program: McDonald’s app for iOS and Google Play offers exclusive coupons, including McCafe coffee coupons. Senior discounts: Some Panera locations may offer a senior discount; Panera is franchised, so discounts are offered at the discretion of the owner. Rewards program: You can earn points on purchases with the MyPanera rewards program. Senior discount: Some locations offer 10 percent off your order and/or $0.50 off drinks, including coffee; Shoney’s is franchised, so discounts are offered at the discretion of the owner. Senior days featuring $6 meals are also sometimes offered. Rewards program: Through Speedy Rewards, you can earn points on gas and convenience store purchases. Points can be used for free items, including coffee. Rewards program: With Starbucks Rewards, you’ll earn two “stars” for every $1 spent. Points can be redeemed for free drinks. You’ll also get free refills on hot or iced coffee and tea in-store and a free beverage on your birthday. Note: See our article for details of where to buy Starbucks gift cards. Tim Hortons has locations in 14 states, primarily in the Midwest and on the East Coast. Rewards program: Tim Hortons’ app for iOS and Google Play offers coupons and promotions based on your favorite items and order history. The following restaurants, cafes, and convenience stores serve coffee but do not offer free or discounted coffee for seniors. We contacted corporate customer service representatives and store associates at the following chains to confirm that they do not have a senior discount on coffee. A few businesses offer free coffee for seniors, but more restaurants offer discounted coffee or a free beverage with a meal purchase deal. For more information on senior discounts, see our articles on senior meals at Carl’s Jr., grocery savings at Giant Food, and senior haircuts at Great Clips.